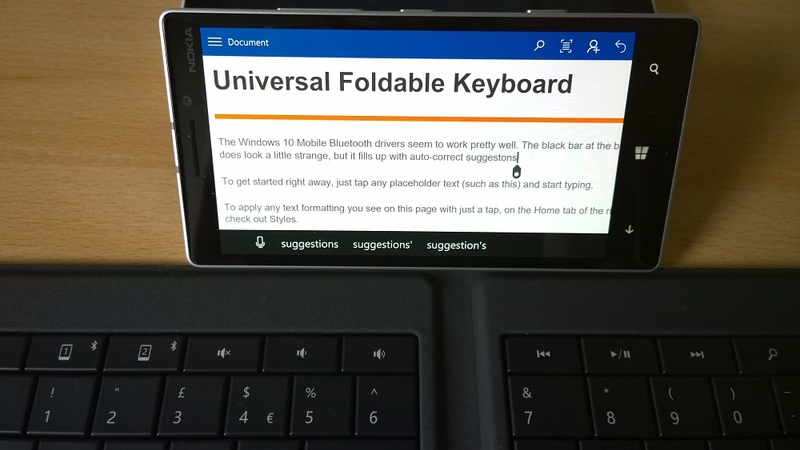 Bluetooth keyboards have gone into and out of fashion over the years, but they're definitely in vogue at the moment, thanks to the use of tablets and 'phablet'-style large-screened smartphones, where a wireless full size keyboard can turn the device into a mini-laptop. Microsoft's new offering is ultra-premium and rather quirky, not least because of the early state of Windows 10 Mobile, but has a few unique features and is worth a look if the price doesn't put you off. Arriving in a premium box, with magnetic flap opening, a sticker pronounces that this is the UK version - one of the banes of the keyboard designer's life is, of course, all the different character sets and layouts in each country around the world. Still, all the keys are present and correct here - even if not all of them work yet with Windows Phones (of which more later). Happily there's not much to do in light of getting started, exemplified by a few diagrams inside the box's cover. There's a paper booklet underneath, but it's full of legal small print and no use whatsoever day to day. So let's hope that everything works! 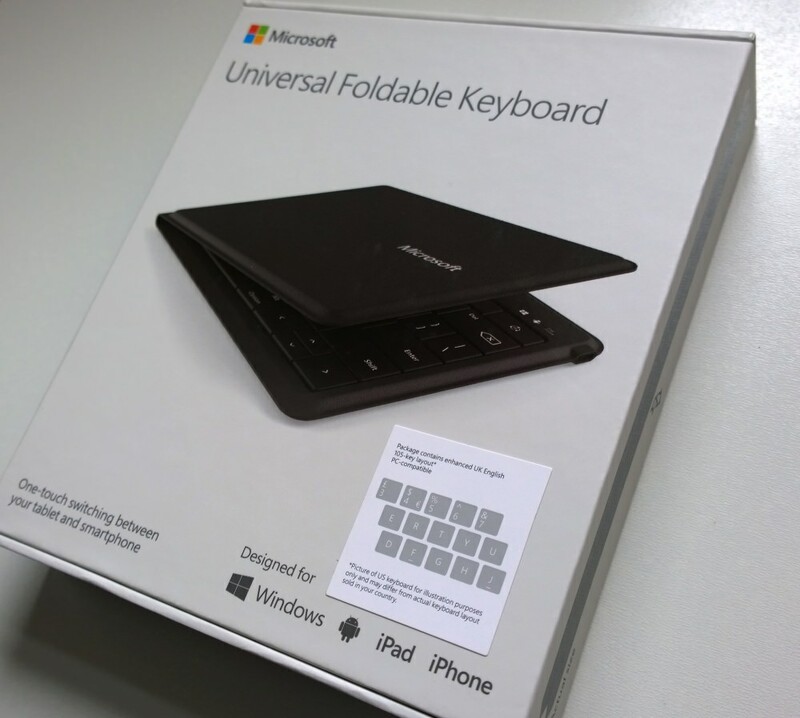 The Universal Foldable Keyboard itself is constructed from a fold of heavy duty material, which is nicely textured and smells like leather, though I'm no expert here - the blurb on the Microsoft web site does emphasise that it's water-repellent, as indeed are the key mechanisms, so an accidental beer spill may not be the end of the world. The edges are formed sharply, making for a good grip and protecting the edges of the main material. The sole port is microUSB in, for charging, at the top right of the keyboard. Battery life isn't quoted anywhere, but from my tests it's in the region of eight hours of use on a charge, whcih should be more than enough for anyone, plus it's trivial to recharge it. Opened out, the premium feel continues, with a well made keys arranged in two panels (either side of the fabric hinge, which presumably also hides a ribbon cable). Key travel is only a couple of millimetres, but the feel is terrific, akin to that on a netBook. As you'd expect for the selling price, which I'll come to in a moment. In addition to the usual alphanumeric and control keys, there's a 'Home' key, plus volume and media controls, lock and search controls. These work with most modern (read Bluetooth 4 and above-compatible) operating systems, though again there's a caveat below. 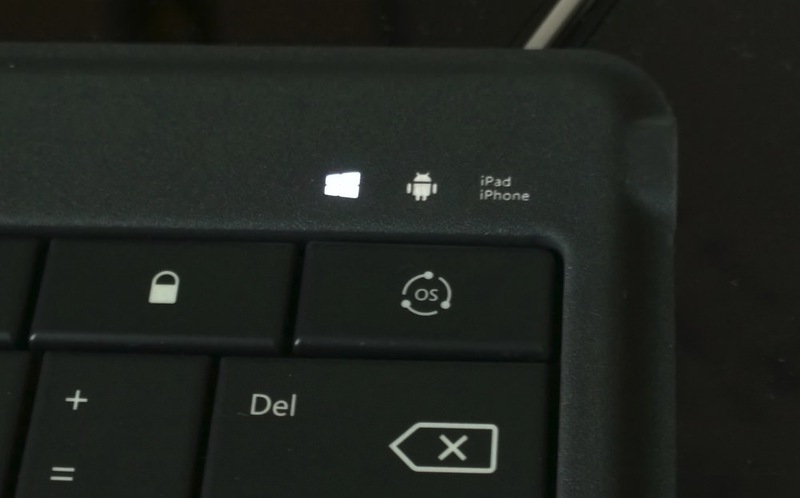 Also present, top right, is an OS selector, intended to kick in the appropriate minor compatibility settings for Windows, Android and iOS - mainly for the 'Home' and 'Search' keys. Happily this is backlit, so you can see at a glance what's currently selected. You'd have thought that modern accessories would be smart enough to detect the device being connected to and adjust automatically, but not in this case. Connection is done by long pressing one of the two Bluetooth buttons, top left. 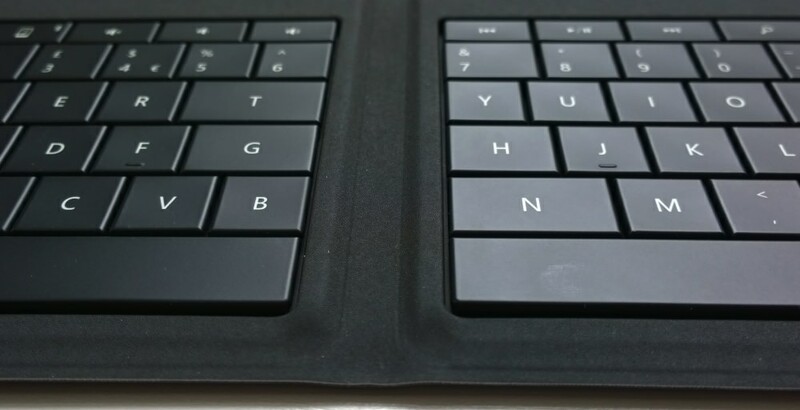 The Universal Foldable Keyboard can handle pairings to two separate devices (e.g. an iPad and a Windows phone), potentially of different OS/type, and then you can toggle between them by pressing the appropriate button. And, once connected, it all works well enough for navigation, typing and selection. Windows Phone 8.1, up to Update 1, doesn't support Bluetooth keyboards at all, while Update 2 is patchy. I was trying out the accessory with a Lumia 930 running the latest Windows 10 Mobile and the basics worked fine. The virtual keyboard knows to disappear and you can drive a lot of things from the physical keyboard and selection keys. You'll still need to keep tapping the screen, mind you, perhaps opening up the Office ribbon or picking a new application from the (landscape-unfriendly) Start screen. Typing away while testing, I never did get used to the 'split' nature of the Universal Folding Keyboard - this isn't the first time Microsoft has dabbled in weird split keyboards, but the idea still rankles. I tried this on several people and each hated the layout. I found myself hitting the wrong keys and also tapping the middle of the central, bottom gap where I'd normally bash a space bar. This is, of course, wholly subjective - some people may well love the layout and anyone who bought this and used it regularly would get used to where all the keys are, but it left me cold. Sorry. 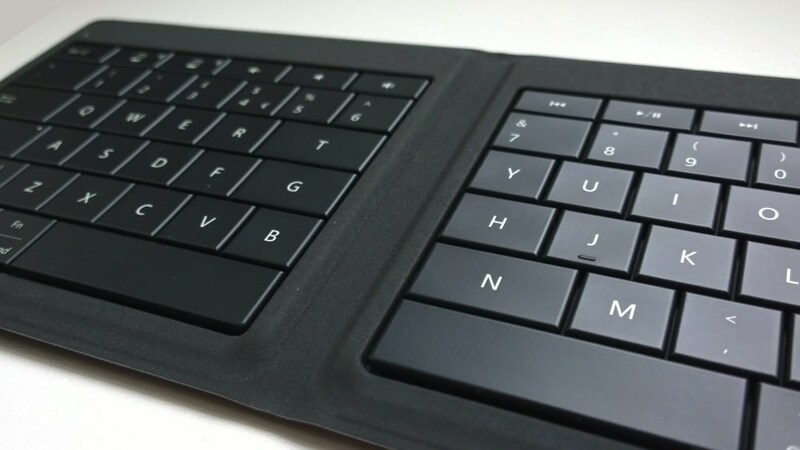 Oh, and before someone comments that a gap is forced by the very nature of a 'folding' keyboard then you're wrong - there are dozens of folding designs (e.g. look on your local eBay or Amazon site) that end up with a contiguous key layout. With the 'Windows' compatibility setting activated, the Home and Search keys behaved properly, but the media controls (volume, playback) didn't, for music playing on the test Lumia 930. I can only think that this is due to deficiencies in the current Windows 10 Mobile Bluetooth profiles and that a future update will fix this. In fairness, W10M is still in 'preview' status, so it's not supposed to be finished, but I'd still have hoped that something this low level would have been implemented by now. Let's hope Microsoft doesn't forget about this. The current asking price (from Microsoft) is £99 in the UK, which is... insane. To put this into perspective, I trawled eBay and Amazon UK for a while and came up with a dozen folding Bluetooth keyboards that looked as if they might do the job well. Prices ranged from £7 to about £35. 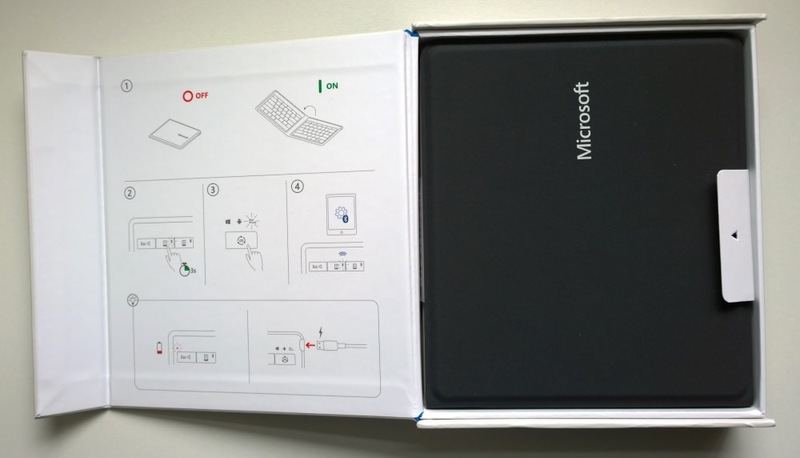 Now, this Microsoft first-party accessory is undoubtedly of higher quality in terms of build and materials. But not enough to justify a price hike of up to 1400%. My gut feel is that this should be £59.99 at most and ideally £49.99. I cannot believe that it costs Microsoft more than £10 to source from the Chinese manufacturer, so why is it trying to achieve a mark up of 1000%? Who on earth is going to buy at this price? 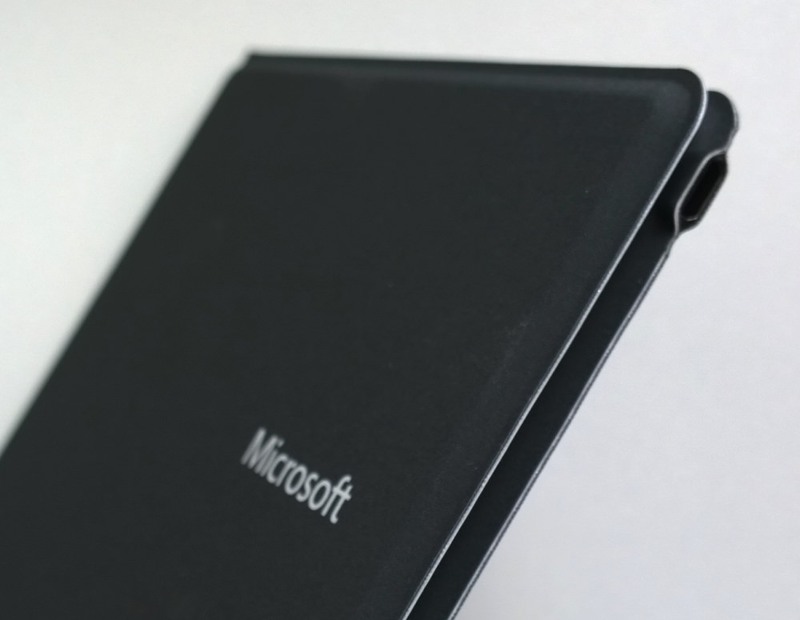 For Windows Phone/Windows 10 Mobile users then, we have an accessory that doesn't fully work. For Android and iOS users, we have an accessory which is massively over-priced. I'm sorry, Microsoft, I really am, this product reeks of quality and good design - it just misses the mark quite dramatically on numerous levels. Do please shout when you've halved the price and written the appropriate Windows 10 Mobile driver to make it work fully!